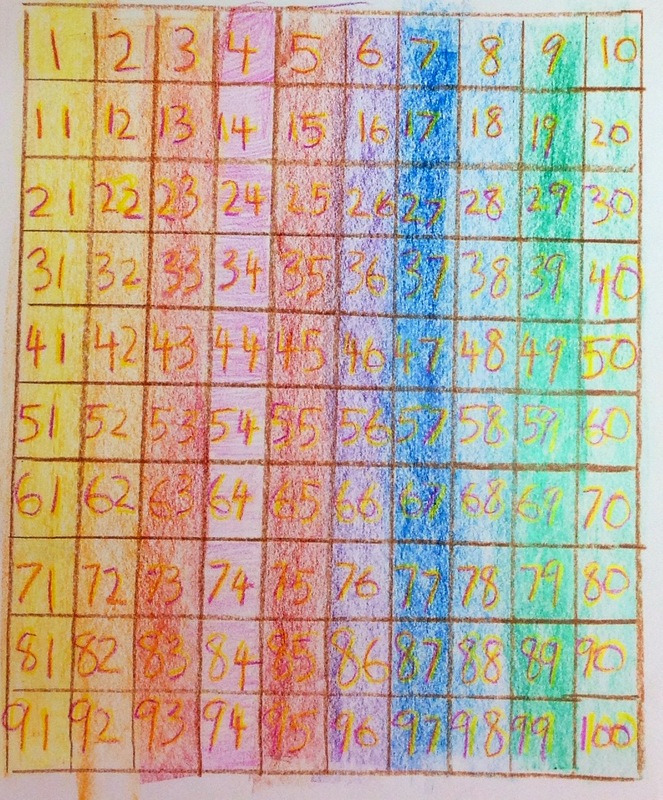 At one time in your life, I think it is good to physically complete a 100’s chart. 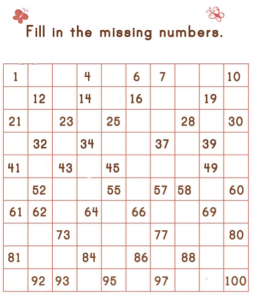 Getting to know what 100 looks like and then seeing the patterns in the chart is a great way for visual people (like myself) to learn patterns in mathematics. Plus, it is really pretty! It is also good practice to fill in charts! This is another way to gather confidence, so the task may not feel so overwhelming. 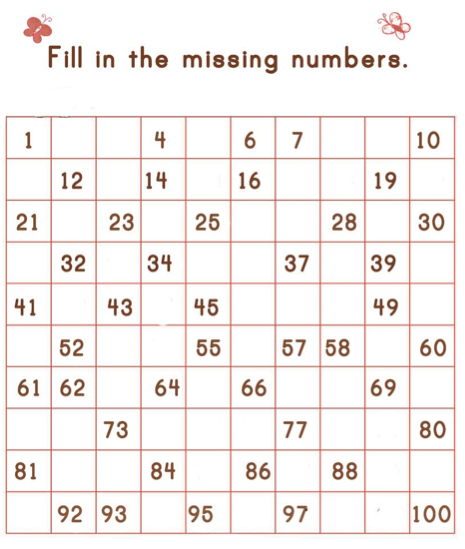 Here is a simple chart to fill in, compliments of Arithmetic Village! Enjoy!